For additional pictures with a look from above of every D-23 iron club, please visit our Facebook page. Classic no offset look at address reminiscent of past generation's most iconic iron designs. True zero offset period, and actually, just a little bit of onset. Full cavity back, midsize blade length, blade height and sole width , make these irons very forgiving on off center hits, suitable for golfers of all levels. Modern friendly sole grind with beveled leading and trailing edge makes this iron easy to play both from the fairway and the rough. Outstanding ball speed and smash factor for a non HI COR design. 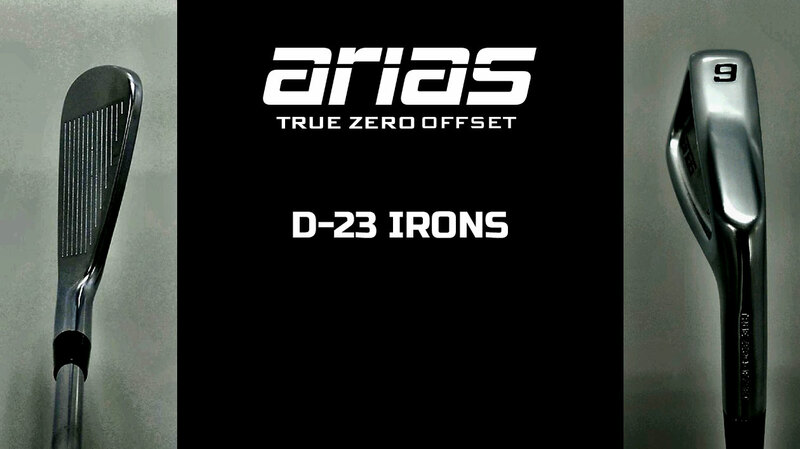 Guaranteed super solid feel, in fact in our testing, many golfers preferred our D-23 irons over some of the highest rated forged irons on the market today. Standard lofts combined with four degree gaps allows most golfers a fighting chance at getting ten yards between each club. At no extra charge we will customize your lofts and lies to your liking. USGA and R&A conforming to groove rules in effect at all levels of play worldwide.